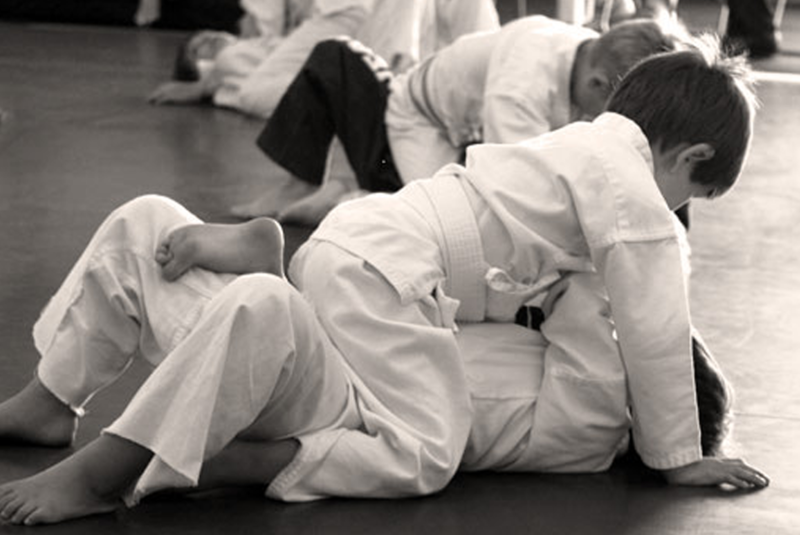 Kids will learn basic jiu-jitsu movements and self-defense along with overall body awareness. This class will emphasize the basic development of the child’s physical, emotional and mental well-being through the integration of physical education, self-defense and general martial arts concepts. The main emphasis of the program will be self-defense and skill-oriented activities improving the child’s listening skills, coordination, motor skills, flexibility and agility while teaching them to become aware of the world around them. The purpose of this program is to give students a general understanding of Jiu-Jitsu / Self-Defense principles. Students will be exposed to the foundation of jiu-jitsu and the key fundamentals needed to defend themselves in a variety of negative situations (bully, peer confrontation, abduction, etc). Non-violent resolution is encouraged. An emphasis will be placed on helping students build the attributes beneficial to overall well being: fitness, confidence, discipline, respect, courage, character, focus, teamwork, responsibility and leadership.